Electricity transmission and distribution (T&D) networks carry electricity from generation sites to demand sites. With the increasing penetration of decentralised and renewable energy systems, in particular variable power sources such as wind turbines, and the rise in demand-side technologies, the importance of innovative products has never been greater. Eco-design approaches and standards in this field are aimed at improving the performance as well as the overall sustainability of T&D network equipment. 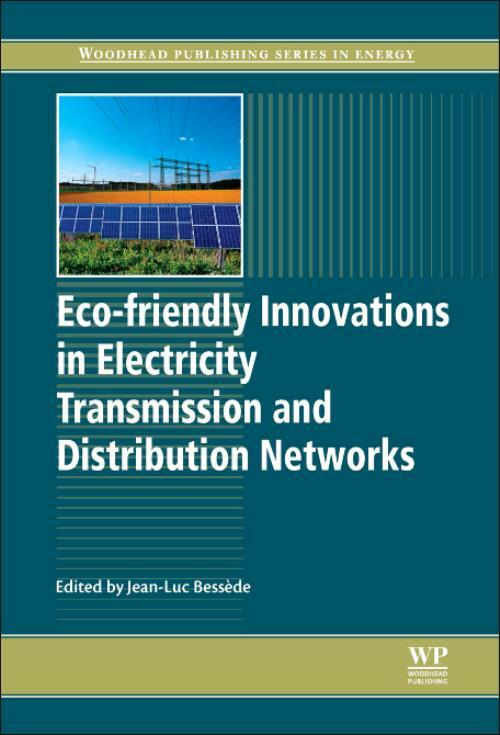 This multidisciplinary reference provides coverage of developments and lessons-learned in the fields of eco-design of innovation from product-specific issues to system approaches, including case studies featuring problem-solving methodologies applicable to electricity transmission and distribution networks. - Discusses key environmental issues and methodologies for eco-design, and applies this to development of equipment for electricity transmission and distribution.- Provides analysis of using and assessing advanced equipment for wind energy systems.- Includes reviews of the energy infrastructure for demand-side management in the US and Scandinavia.